“Dear Friends - I am writing from Bodh Gaya, about halfway through the current Jai Bhim International tour, connecting with the Jai Bhim community and implementing our new projects. Here are a few highlights. “Currently I am staying on the land of The 3 Jewels Center, where several hundred Tibetan monks and nuns are camped out, for The Dalai Lama's visit. Today the sangha team and I sat together meditating under The Bodhi Tree. Such an experience! “I began my India visit in Delhi, visiting our sangha friends at The Dhammachakra Center, practicing together, meeting with Board members to discuss our projects, and spending lovely time in one another's company. |”From Delhi I headed south for our first retreat with the Kerala sangha, where we practiced conversational English within the context of a Buddhist retreat; studying Buddhist Dhamma and meditation along with the teachings of Dr. Ambedkar. It was a small retreat, all men except for me! Our last activity was creating team-based 5-year plans, and we all left inspired and invigorated. The retreatants have since formed JAI BHIM KERALA, to continue meeting together for Dhamma study, to create community projects, and to plan for our next retreat December 2010. They have even set as their own goal for there to be 50% women in attendance. “From Kerala I headed East to Chennai and up to The Sakya Hostel, with its 49 young students and its committed team of graduates from The Nagarjuna Training Institute in Nagpur. I practiced English with the children, as well as meditation and puja, and spent time with the wonderful team. When I asked one team member what most inspires him about their project, he replied, "This is not a project. It is our dream world." I felt very lucky to be part of their dream world; a place of love, creativity and possibility. I delighted as the children prepared for New Year's Eve, decorating the hostel, reflecting on their confessions from the past year, and their aspirations for the year ahead, writing them carefully down, and then offering them in the puja to the shrine. “From Chennai I returned to Delhi and, by lucky coincidence, connected with Tempel Smith from San Francisco, on tour through Asia with a group of American Buddhist youth. Tempel and Maitriveer Nagarjuna had met in Thailand, and their two Sanghas spent time together in Delhi practicing meditation, socializing, and learning about Dr. Ambedkar's vision for a truly democratic society based on Liberty, Equality and Fraternity. Jai Bhim International! “And finally, after a few days, I headed to Varanasi to visit the "Cry for Change" project, which works with the scavenging community, the most oppressed of the ex-Untouchable communities. The project offers after-school classes in computers and English to girls, and gives micro-loans to people in village communities so that they may leave their traditional, dangerous and degrading jobs. 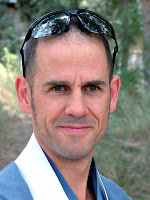 “I'd welcome your thoughts on our projects and invite you to join our community, the "caste-free generation". As Christmas approaches, spare a thought for Shakyajata and Priyadaka, two Order Members from the UK, both currently touring India and visiting many of TBMSG’s most remote ‘Dhamma outposts’, small projects in remote areas, mostly initiated by gradates from Nagaloka. “Well, where to begin? We have been travelling for nearly five weeks now, and every day is packed with impressions, a rollercoaster of unfamiliar experiences. Both of us are showing symptoms of overload (poor sleep, strange dreams, loss of short-term memory etc) so have decided to spend a few days here in Kerala, meditating and chilling out - we have just spent an entire day at the beach! Before that we were in Hyderabad, where we arrived having survived a rather trying train journey from Bhubaneshwar in Orissa... there were MICE! The situation in Hyderabad could not be more different from Orissa, a remote place where there are a bunch of young mitras full of enthusiasm and inspiration; here TBMSG is much more established. We visited a very famous site, Nagarjunakonda, an amazing place. Up to about the 5th century CE, this remote, peaceful valley of the ancient river Krishna, was a huge Buddhist monastic settlement, with many monasteries, stupas, viharas etc; then as everywhere in India, Buddhism became overlaid by Brahmanism and eventually disappeared. Then in the 1950s it was decided to build a huge dam, for much-needed irrigation for the peasant farmers of a huge area of Andhra Pradesh. The whole valley was set to be drowned; but a remarkable Indian archaeologist completed an excavation of the whole huge area, in just 6 years. Now the site is a vast lake (the dam is staggeringly huge) with an island where all the artefacts are displayed in a museum, among beautiful gardens and a setting like a Japanese ink-painting. The Buddhist artefacts are amazing, not quite like anything I have seen before; including large standing and sitting Buddhas with strong faces of a different ethnic appearance from northern Buddhas, and unusual mudras (hand gestures). The site finds go back to the Old Stone Age, so much to take in...and we only had an hour! The heroine of this stage of our journey is Jnanajyoti, who is making great efforts to connect and reconnect with women she knows in the Sangha here. I do hope they will continue to be supported in future, by TBMSG and the FWBO as a whole. Also great thanks are due to Padmavir who is trying to organise good things for us and, it seems, lots of other visitors at the same time! It's great to witness a revival of the ancient Buddhist traditions in Hyderabad, in a new form which will transform the lives of people here. Kerala, on the western coast of South India, is hot and humid, quite tropical, and very beautiful, generally cleaner and more sorted than other parts of India. Today, meditating on the beach, it came clear that there are women here I especially want to help. In fact we have lots of ideas for projects we want to pursue. We have had a number of successful (if rather stressful) 'programmes' and there is so much interest in people, in what we have to offer. Spending a day or 2 as a 'tourist' has made me realise what it is I love about being here - it is a sort of glow on people's faces when they realise what their potential is for a different way of looking at their lives - that brilliant gleam of human potential, it's the most beautiful thing I have ever seen. And people are so friendly and responsive - a few days ago I found myself talking (to about 100 people) about my brother Asangasila's death (it was the anniversary) in just a natural way...they are so open and uninhibited. In Kerala we have spent a lot of the time with Ratnasiddhi, an Indian Order Member from Nagpur who is very impressive. He connects with people in a way we never could - I said something that inadvertently offended someone very politically militant at a meeting, and he fielded it so expertly. We are learning so much - Priyadaka is revealing a particular talent for teaching meditation, making it simple and appealing and very effective - to a group of 150 people including lots of babies, on one occasion! On Saturday morning we are going about 150 km north to stay with one of the Indian Dhammamitras in Kerala, who is going to show us some historic sites and put us on the train on Monday morning, to go back to Nagpur in central India, where we shall be based for most of the rest of the time here. This is a bit of a cliff-hanger as we do not have a confirmed reservation yet....our previous experience of this was not positive, we had no space to sleep...the journey takes 2 days and a night, so wish us luck...but it should be an exciting journey, through half of India....time to go now. Any support you can give will be most welcome, on www.justgiving.com/youngindianfutures ... and thanks to you all. “I toured to South India from 22nd April to 4th May. The purpose of my tour was to interview the candidates for the 7th Batch of students at the NTI. In addition to that I met with number of institutions as well as individuals. It was very inspiring tour as people are thirsty for dhamma. Padmavir was accompanying me. “The highlight of my tour was a day retreat at Kottayam in Kerala. We reached Kottayam at 6.30 am, Subhash met us and took us to the Kerala Social Service Center, where Binojbabu had organized a day retreat. This started at 11.30 as particpants were coming from different parts of Keral (Trivendrum, Kollam, Iduki, Trishur & Kannur). The organisers had made a beautiful shrine. There were 150 participants, a very good audience. They came to understand just Buddhism and stayed through out the day. We were able to interview 9 candidates (7 male & 2 female) for 7th batch of NTI students. After the retreat Rejimon escorted us to Thengana. Four persons were waiting for us till 9pm to conduct Puja at their center. But we could not do the Puja as it was too late and also we were tired by travelling. We took rest in Lodge. “The next day Rejimon introduced us to his work at Thengana. He had raised local donations for deposit to have accomodation for regular TBMSG activities and also for monthly rent. He has now started regular TBMSG actvities at Thengana. In the morning we visited his center and did Puja and appreciated his dedication for dhamma work without any financial support from us. Local few Buddhists look after his needs. We left Thengana in the aftrnoon for Mynagapally – this is our first TBMSG Center in Keral started by NTI alumni at their own initiative. After three hours train & bus journey, we reached to TBMSG Mynagapally Center at 4pm. 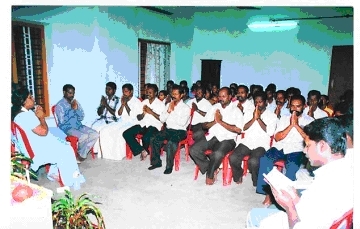 A conversion ceremony was organised at the center at 7.00 pm. The christian family who wanted to convert reached at about 8.30pm. They were coming from 60 kms away and had lost the way too. Mr. Johnson who was at one time an NTI trainee, and his wife Sharika, daughter of Sukumaran who was strong supporter of Buddhism for many years and helping in many ways to Rejimon for spread of Buddhism; were the converts. Padmavir gave lecture on the importance of convertion to Buddhism and Going for Refuge and I led the conversion ceremony that concluded at 10 pm. About 25 local Buddhist witnessed the conversion. We six enjoyed the the dinner supplied to us at the center by three Buddhist families and took rest at Center. Finally the next day we had meeting with Binojbabu, Subhash, Rejimon, Arun & Rajanikant. We rejoiced in their merits for spreading Buddhism. I assured Binojbabu to support for one more year from the left out of growth fund and suggested him not to find out work outside. Subhash may get scholarship and he is trying for lecturership too. There is a need to support to Rejimon too. We left at 12am to catch a train at Karunangapally railway stn for Bangalore. Late last year Dhammacharinis Nagasuri and Sraddhajyoti were hosted by the new TBMSG Centre in Mynagappally, in the district of Kollam Kerala, in southern India. Click here to read FWBO News’ report of its inauguration. They were the new centre’s first visitors from outside the State and the small sangha there made the most of the opportunity - with some 40 people coming for the different functions through the day. The day featured two talks by the two visitors, one in English and one in Hindi, both translated into the local language Malayalam, both focusing on the theme of the “Importance of Five Precepts in Daily Life”. 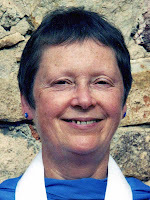 Nagasuri is from Australia, but currently living in India and working for the Arya Tara Mahila Trust, – unique in that it is pioneering Dharma work in India entirely run by women for women. Sraddhajyoti is an Indian Dhammacharini from Mumbai and was ordained in 2002. They were touring South India as a follow-up to a more high-profile tour last year led by Subhuti. The day was hosted by Binoj Babu and friends, who make up the group of mitras running the Centre (there are no Order Members in residence), all of whom are recent graduates of the TBMSG training institute at Nagaloka, in Nagpur, a thousand miles north in central India. The Nagarjuna Training Institute in India is the FWBO/TBMSG’s largest centre there. It runs ongoing year-long residential courses in Buddhism and social work, training up to sixty young men and women per year, from all over India. At the end of the years training they graduates may either stay on for a second year or return home. Many have done so, and in this way a widespread network of local groups across India affiliated to the TBMSG have sprung up all over India. Once home, the Nagarjuna graduates do what they can to spread the Dhamma given their need to earn money, help their family, and meet the many other demands of Indian life. In April this year the FWBO Growth Fund gave money to support for a year twelve Nagarjuna graduates in five widely-separated Indian States – Orissa, Kerala, Tamil Nadu, Karnataka, and Rajasthan. The application was for funds to support twice as many, but as the FWBO Growth Fund is small and already over-subscribed six times over it was unable to assist! Vivekaratna, Director of Nagarjuna, has recently sent us this report. Many other Dhamma projects are also going on across India, not least the recently-concluded and very successful Dhammakranti retreat at Bodh Gaya, which had 1,500 people attending - we hope to bring reports of these soon. Jadumani conducted two seminars in Sumbalpur for college students on the Psychological Effects of Caste and Jaldhar & Panchanand supported him. Around 60 senior college students participated in both seminars. There is good team work among these three ex-trainees. They inspired people to participate in the recent Dhammakranti retreat at Bodhagaya – where five persons became Dhammamitras through their work. Subhash, who was training till August 07, has now joined Binojbabu who had already started Dhamma work in Kollam district in Kerala. 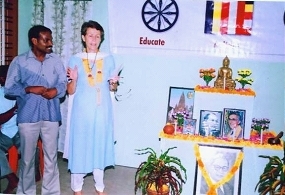 They have established a Dhamma centre in Mynagapally in Kolam distt – financed entirely by donations from local people. They are meeting individually and collectively with Ambedkarite activists from Kollam, Kottayam & Alapuzha (Alleppy) districts and conducting day retreats at the center and elsewhere. 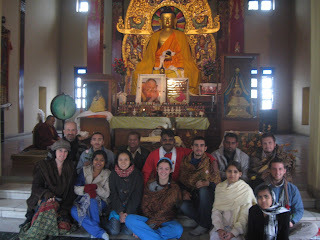 They organized a programme for Nagashuri & Saddhajyoti who visited last month – see report on FWBO News (forthcoming). Subhash, Manimaran, and Ganesh organised a three days residential retreat at Villupuram in Central Tamilnadu. Vivekaratna led the retreat, which was on the Three Jewels, and 25 persons participated. They were very pleased because they managed to raise money locally to meet all the food expenditure of the retreat – and obtained the acconodation free of cost from a local charity. This is TBMSG’s first residential retreat in Tamilnadu. There is good teamwork between Subhash, Manimaran & Ganesh. In September Satyam single-handedly organised a retreat in Gulbarga. 23 persons participated in the retreat, and Padmavir & Dhammadarshi led it. Once again, Satyam raised donations locally to meet the retreat expenditures. He is conducting regular dhamma activities, mostly working in Bijapur, Bider and Gulberga districts, as well as keeping regular contact with ex-trainees from Karnataka and encourging them to help in spreading the Dhamma. Rambabu is working among the Meena community which is a tribal community. He is especially active in Bharatpur, Dhaulpur, Sawai Madhopur, and Alwar Districts. In addition he has regular interaction with Ambedkarite activists and gives lectures, leads Puja, and clarifies the doubts of the persons he meets. He is specifically emphasizing social transformation through Dr. Ambedkar’s thought – using Ambedkar’s emphasis on Liberty, Equality and Fraternity as Buddhist values for the transformation of society. 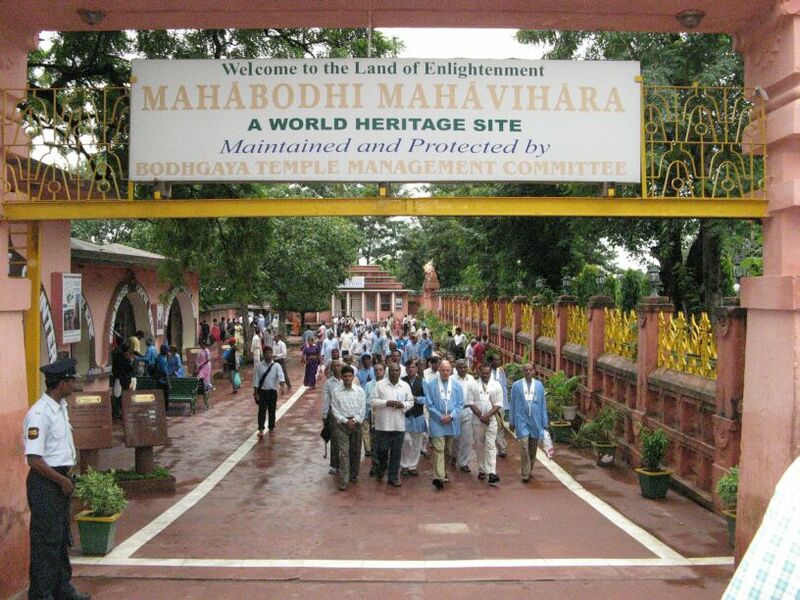 This is only a tiny glimpse of the many Dhamma and social projects the FWBO/TBMSG runs in India. A second FWBO/TBMSG centre has just opened in Kerala, south India. For some years Tejabhadra has been running a Buddhist centre in the capital city, Trivandrum (click here for details), he has now been joined by Binoj Babu and Dhammamitra Subhash. They are graduates of TBMSG’s Nagarjuna Training Institute and have founded the Abhayaloka Trust which is running activities in the seaside town of Kollam, further up the Keralan coast. Visitors are welcome, and are asked to contact Subhash by email or phone (tel 0091 99478 00803) before arrival - or simply to go to Mynagappally village and ask for the Divya Building. The Nagarjuna Training Institute is located in Nagpur on TBMSG’s Nagaloka site. The program is now in its fourth year and has begun to produce a stream of talented and energetic graduates, of both genders, from all over India; many have returned home and are working to spread the Dhamma in their local areas. 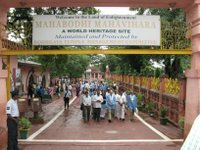 Next month will see a major retreat in Bodh Gaya (estimated attendance 3,000 people) followed by Subhuti’s annual Dhamma tour, this time in North India, organised as always by NTI graduates. This work is especially significant in that it represents the beginning of the Buddhist renaissance in India ‘breaking out’ of Maharastra and Dr. Ambedkar’s own community and beginning to contact a far wider cross-section of Indian society all over India. The Dhammakranti project is appealing for funds to assist the work of contacting local Dalit and tribal people who have become interested in Buddhism but who cannot afford to attend retreats, please click here if you would like to contribute.